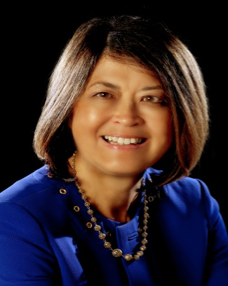 Edna B. Chun, D.M., is an educational leader and award-winning author with more than two decades of strategic human resource and diversity leadership experience in public higher education. Dr. Chun’s work and publications focus on talent practices that build organizational capacity. She advises higher education leaders and boards on strategic diversity and human resources planning and transformation, organizational design, faculty and administrative compensation, total rewards strategy, and leadership and workforce development. Among her recent books are The Department Chairs as Transformative Diversity Leaders: Building Inclusive Learning Environments in Higher Education (Stylus, 2015); Diverse Administrators in Peril: The New Indentured Class in Higher Education (Paradigm, 2012), and Rethinking Cultural Competence in Higher Education: An Ecological Framework for Student Development (Jossey-Bass, 2016). Two of Dr. Chun’s books, Are the Walls Really Down? Behavioral and Organizational Barriers to Faculty and Staff Diversity, coauthored with Alvin Evans (Jossey-Bass, 2007), and Bridging the Diversity Divide: Globalization and Reciprocal Empowerment in Higher Education (Jossey-Bass, 2009) received the prestigious Kathryn G. Hansen Publication Award by the College and University Professional Association for Human Resources (CUPA-HR) for their contribution to the human resource profession. Chun and Evans’ co-authored book, The New Talent Acquisition Frontier: Integrating HR and Diversity Strategy in the Private and Public Sectors and Higher Education (Stylus, 2014), also received a silver medal in the 2014 Axiom Business Book Awards and is the first book to provide a concrete road map to the integration of HR and diversity strategy. A sought-after keynote speaker and facilitator, Dr. Chun has delivered keynotes, plenary sessions, and invited seminars nationally and regionally with leading professional associations, including the Academic Chairpersons Conference, the American Association of State Colleges and Universities, the National Conference on Race and Ethnicity (NCORE), PeopleAdmin National Conference, and the College and University Professional Association for Human Resources (CUPA-HR). Dr. Chun holds the Doctor of Music and Master of Music degrees with High Distinction from the Indiana University School of Music, the Master of Arts from Columbia University, and the Bachelor of Arts from Oberlin College. She currently serves as Chief Learning Officer for HigherEd Talent, a national diversity and human resources consulting firm.